The mining industry in Thailand began a century ago from tin mines in the south. In 1891 King Rama V established the Royal Department of Mines and Geology to manage the mining industry of the Kingdom. The main tasks of the department in the early days were in the areas of mining concession and royalty. 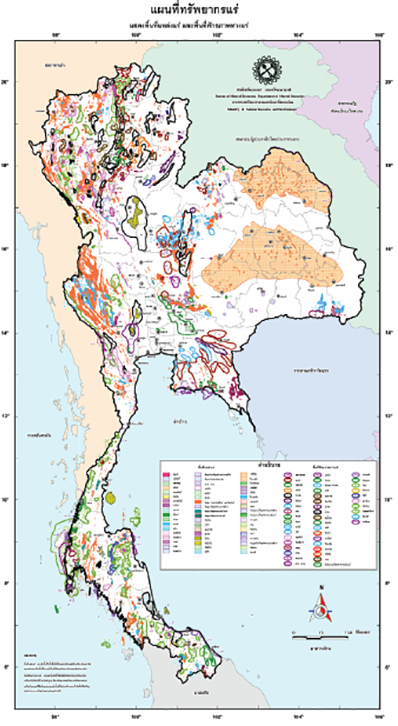 The mineral exploration started a few decades later, and in 1939 the first Thai report entitled "The Abundance of Mineral Resources of Thailand, 2482 B.E. was published to encourage Thai people to join the mining business. 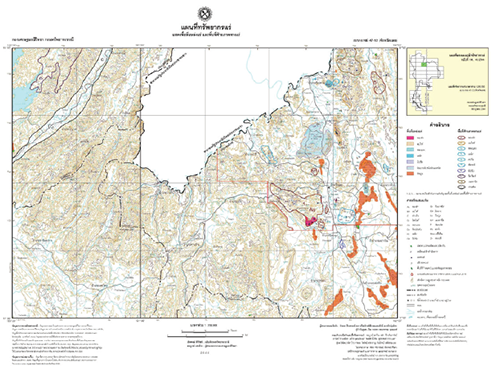 • investigating and preparing the mineral resource database, mineral potential maps, and provincial mineral resource maps. • studying the causes and mitigations of geological problems, e.g., the study of saline soil problems and geologically soils improvements. • standardizing economic minerals of the country. 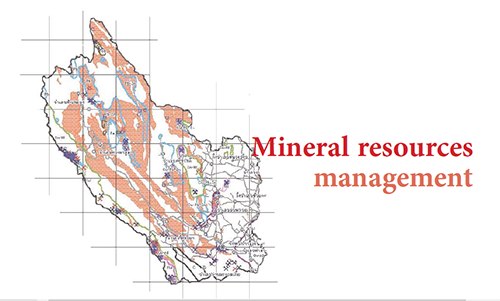 • managing the country’s mineral resource usage through geological related committees. • disseminating the mineral resources information to the public through various media, e.g., printed material, websites, museums and workshops. Since October 2002 reorganization, all activities concerning granting and control as well as the promotion of private investment and the development of mineral resources has become the mandate of the Department of Primary industries and Mines, Ministry of industry.